Because it's wireless, you can hang it anywhere. 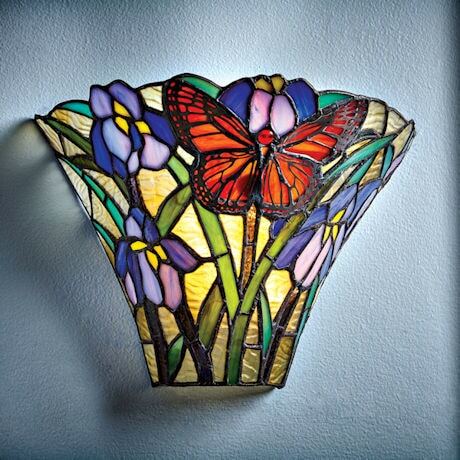 Crafted Tiffany-style from 240 pieces of art glass and a single jewel-like cabochon, it installs in minutes. 9 white long-life LEDs provide up to 180 hours of light on 3D batteries (not included). Push-button or remote on/off; dimmer and timer functions. Enjoy indoors or out in a sheltered area. 12"w x 9"h x 6"d.